The city walls in Budva exhibit mesmerizing views of the sea leaving you with the feeling of experiencing a place out of the world. The city walls are a spectacular attraction located in the old town depicting the charm of medieval time. 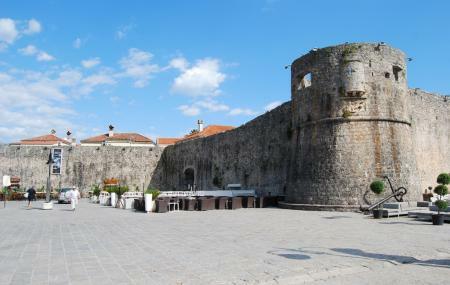 A must see on a visit to the old town of Budva. There are many shops around the city walls ideal for shopping. How popular is Budva City Walls? People normally club together Stari Grad and Mogren Beach while planning their visit to Budva City Walls.